Rarely in life are there people who touch you so deeply that you are utterly stunned. This happened when I first came upon the work of an artist named Elsa Mora, or “Elsita”. This incredible woman, originally from Cuba, is the definition of an artist to me, with the unabashed creative surrender. This woman is nothing short of outrageous. She is not only an artistic prodigy, but is very prolific in her work. From hand made dolls to paintings, her work never fails to surprise me. With each work she creates there is a freshness. To top this off, she is also a parent of two children. How does she do it? 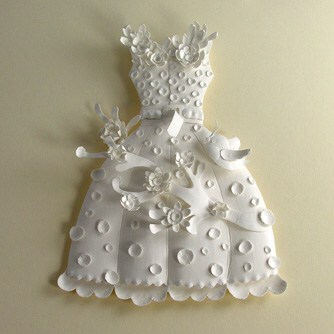 Her papercuts are stunning, with each detail perfect and divine. Her miniature books are the most complete description of her personality, containing tiny magical vignettes created of many mediums. 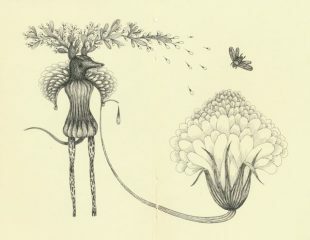 Her drawings are whimsical and painterly. 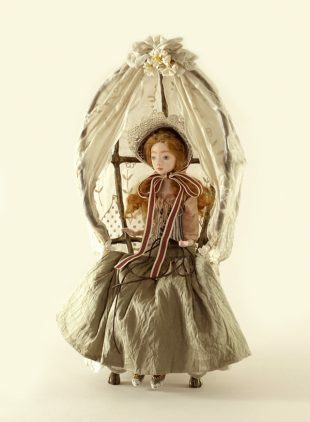 Her hand made dolls, each with their own charm, are intricate and unrestrained. I rarely come across an artist so committed to love and the love of beauty.